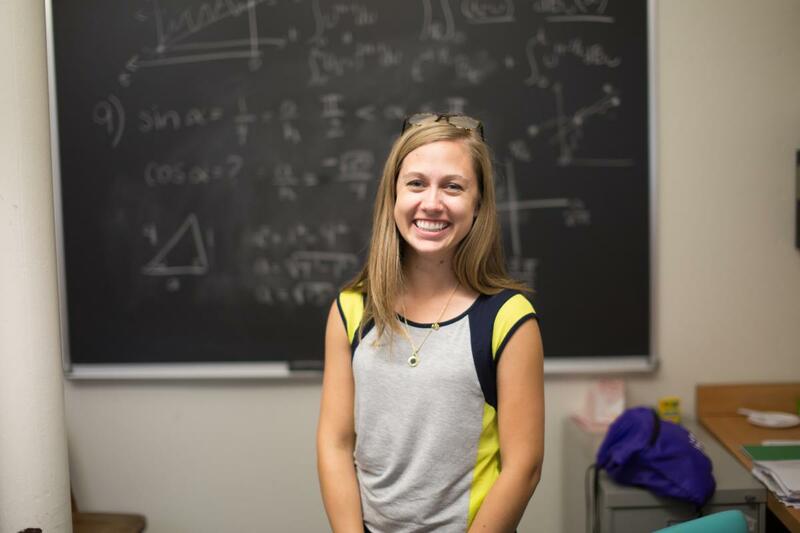 Mackenzie Wildman has traveled the country studying mathematics and calls Lehigh University’s graduate program her home base. She has had opportunities to meet with the leaders in her field of interest - math finance - and zero in on what she hopes to do in the future. She has been to numerous conferences including a workshop at UCLA and a math finance program in Chicago. In January, she visited San Antonio for the largest math meeting in the world with The Mathematical Association of America (MAA) and the American Mathematical Society (AMS). Mackenzie came to Lehigh after studying at Drexel University for her undergraduate degree. There, she took a variety of classes but soon realized that her favorite parts of all of them seemed to be the math portions. Through Drexel’s co-op programs she studied finance and economics which led to her decision to attend grad school. Taking into account the outstanding faculty and the chance to stay close to her husband, Mackenzie found that Lehigh was her top option. She says that her graduate studies have differed greatly from undergraduate, especially in the difficulty of classes and focus on mathematics. She added that classes are far more thought provoking rather than just facts and warned that even if you have two weeks to do just five questions, each of those five may take hours to complete. Mackenzie has done research at Lehigh in the field of probability and finance. However, her research doesn't include labs and test tubes, she says, much of her time is spent writing ideas on chalkboards and talking them over with professors. She looks at how mathematics can affect other areas such as finance, physics and chemistry. In addition to her research and studies, Mackenzie also enjoys her time teaching classes to undergrads. These help her keep perspective and allow her to communicate her appreciation for math. She hopes to become a research professor and her studies at Lehigh and across the country have helped prepare her for that. And for perspective math majors she encourages you not to be intimated by the math and don't let others scare you away; if its math that you love, than do it, but if not, than achieving a pHD will be very challenging.